DecorShore Handmade Statuettes - Antique patina finishes. Antique look Ape statue is equally perfect for the serious vintage collector or the modern bohemian decorator. Handcrafted details abound with an antique look ivory / gray patina. Posed in sitting position, this large table top sculpture is over 11 inches in height. Each is constructed of thick & durable aluminum metal and finished with patinated metal in ivory with hints of gray patination strewn throughout the surface. The ivory patina look adds the perfect touch of antiquity amongst other decorating accessories or by itself. 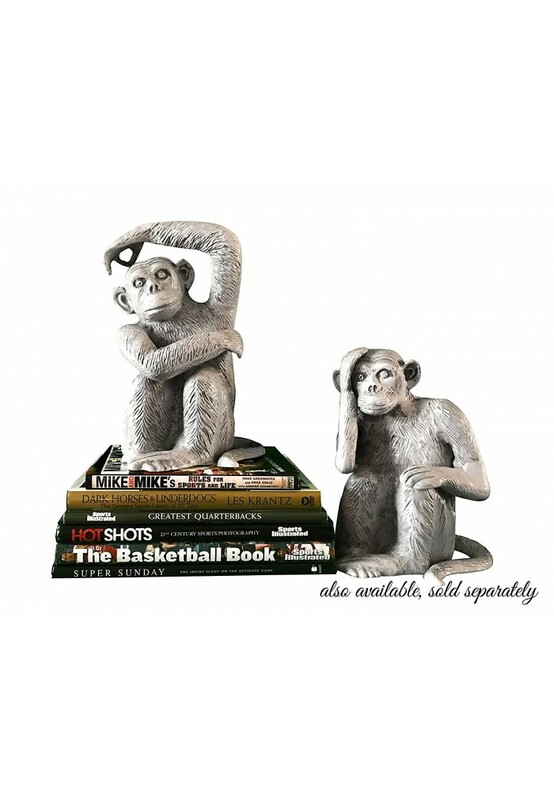 Perfect decorating accent for shelves, book ends, book stacks, accent tables, and in the study, den, library, bedroom, foyer, parlor, living room, office, reception area and more. 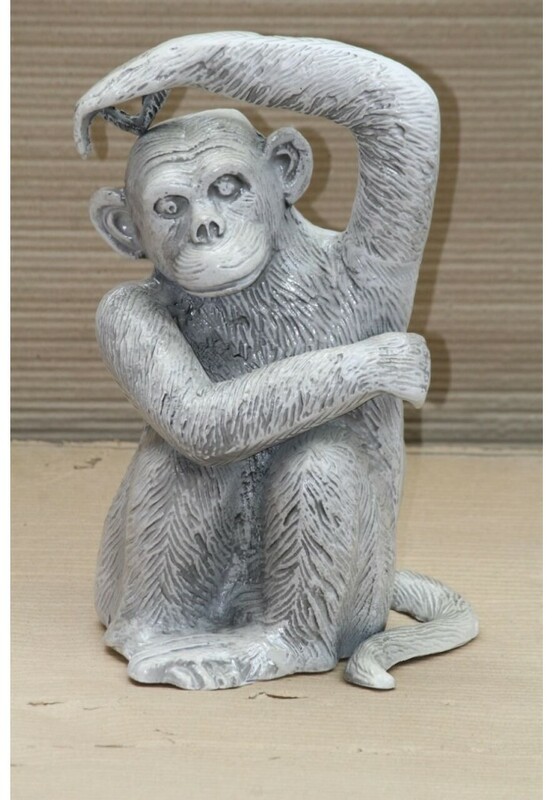 Charming Chimp statuettes are sure to stand out and complete your home decorating project. 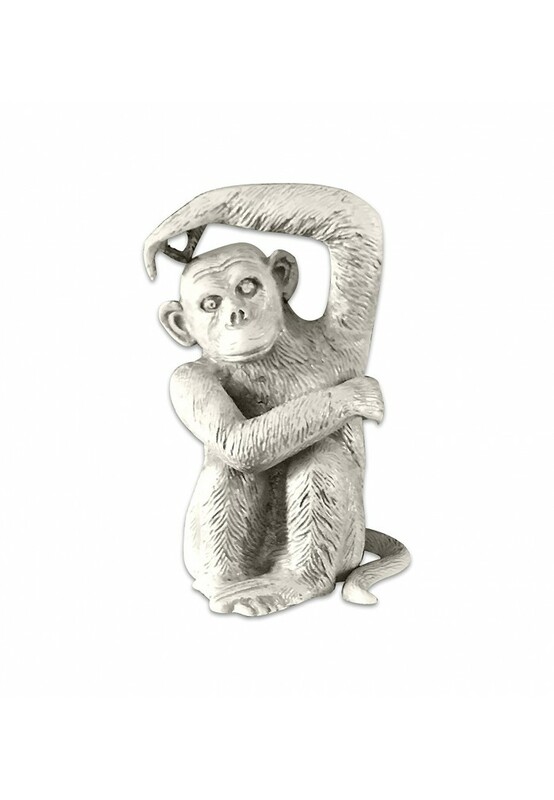 From restoring and decorating Victorian sitting rooms and conservatories to contemporary lofts and village window sills, DecorShore’s faux ivory monkey is a bespoke decor delight. Material: Heavy Aluminum, Could be used as a door stop! Looks fantastic next to houseplants, on bookshelves, mantels, console tables and more!